Firstly apologies about the delay between this blog entry and the previous – we’ve been away on assignment abroad and had barely any time to spend in the kitchen. 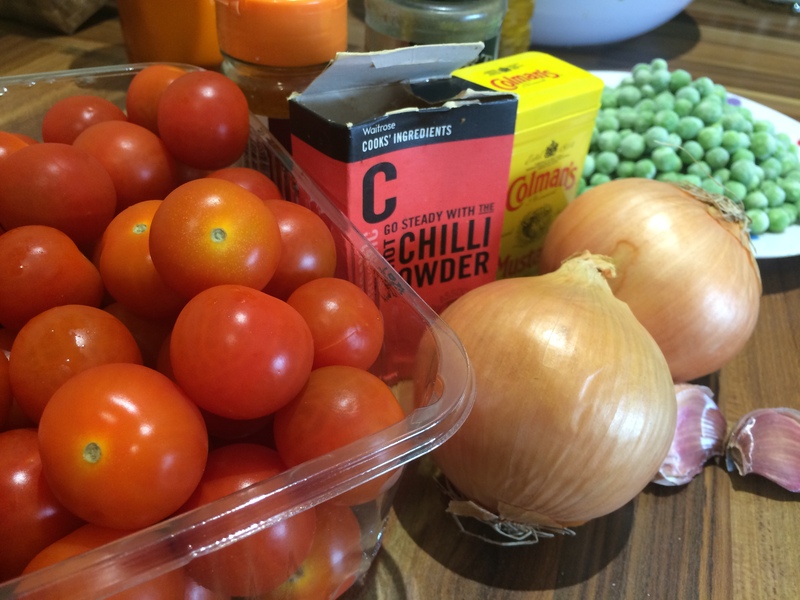 Season’s Eatings are back now, with something we cooked up midsummer: a tomato curry (the recipe for which we take no credit, as we discovered it in Nigella Kitchen). Given how easy it was to make and the vibrancy of this vegetarian meal, we had to share our attempt at cooking it. We served our with a simple coconut rice, made with garlic oil, a couple of spring onions, rice and coconut milk. A quick internet search will give you many variants on this simple side. 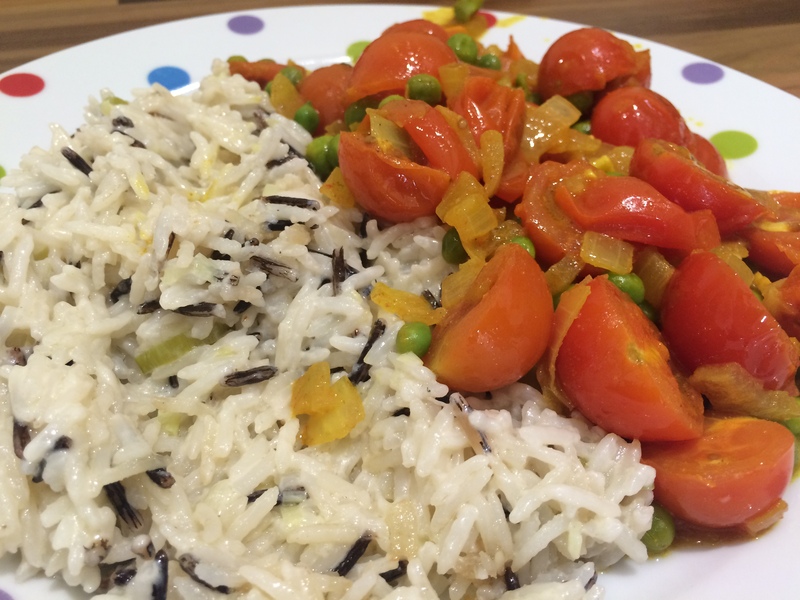 We loved how the sharpness of the tomatoes marries so well together with eh sweetness of the peas and the creaminess of the coconut rice. Thank you Nigella! 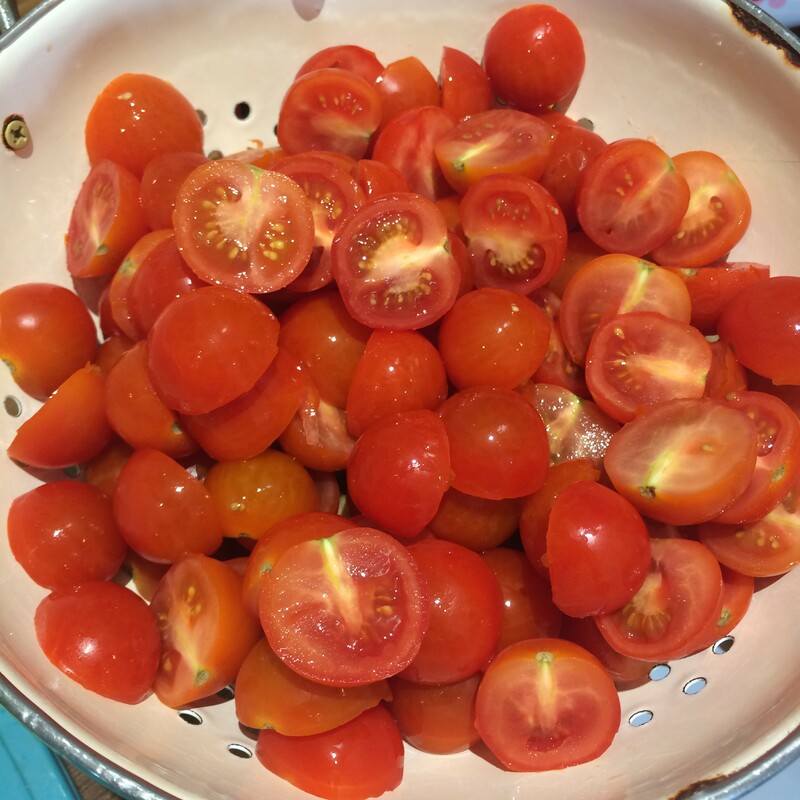 Prepare the onion, garlic and tomatoes – 1kg of them may seem daunting, but halving them is quite a therapeutic process once you get going. 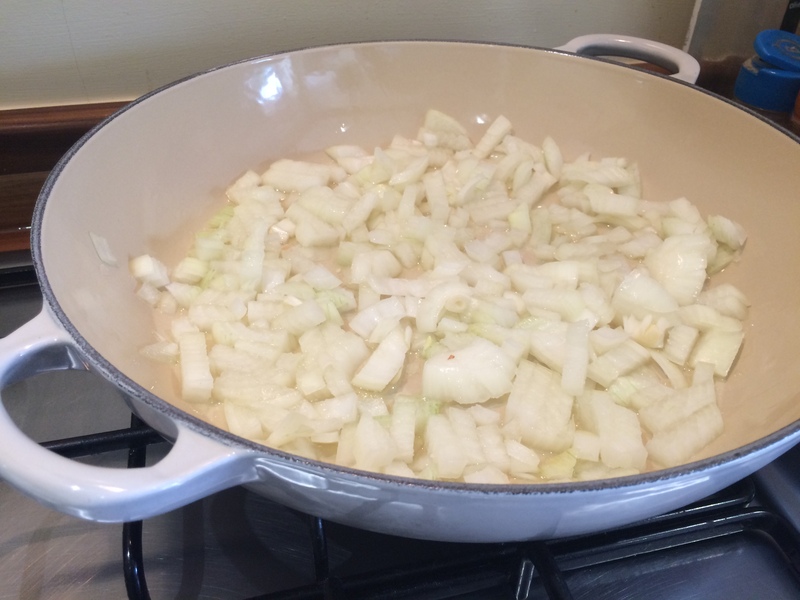 Heat the oil in a wide casserole dish, add the onions, sprinkle with salt and sweat over a low-medium heat until softened, which should take 5 – 10 minutes. Stir in the chopped garlic, the tomatoes and all the spices. Stir well to combine and then cook for 20 minutes with the lid on over a low heat. Cook the peas in a separate pan for the last 5 minutes’ cooking time, then add to the tomato curry. Serve with the coconut rice.